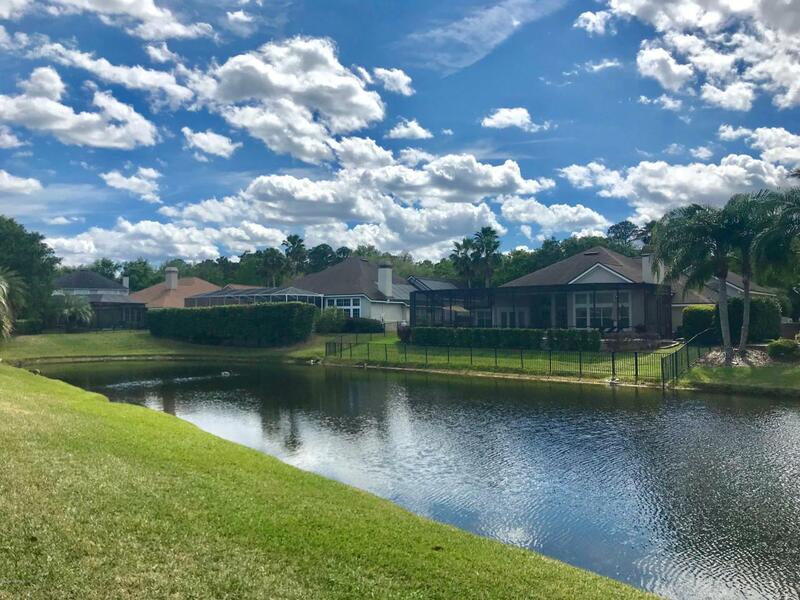 Great opportunity to put your personal touches on this 4 bedroom 3 bath waterfront home in Jacksonville Golf & Country Club. 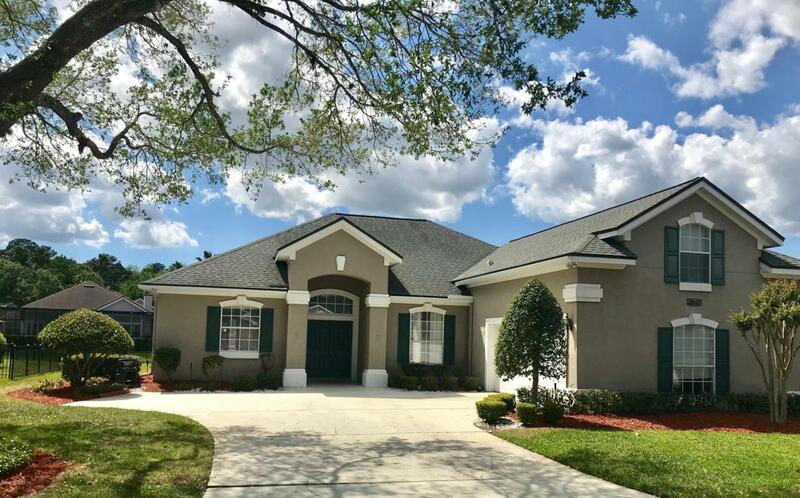 This one owner home has eat-in kitchen with 42'' cabinets, breakfast bar and open to the family room with fireplace. Large master suite with his & hers closets. 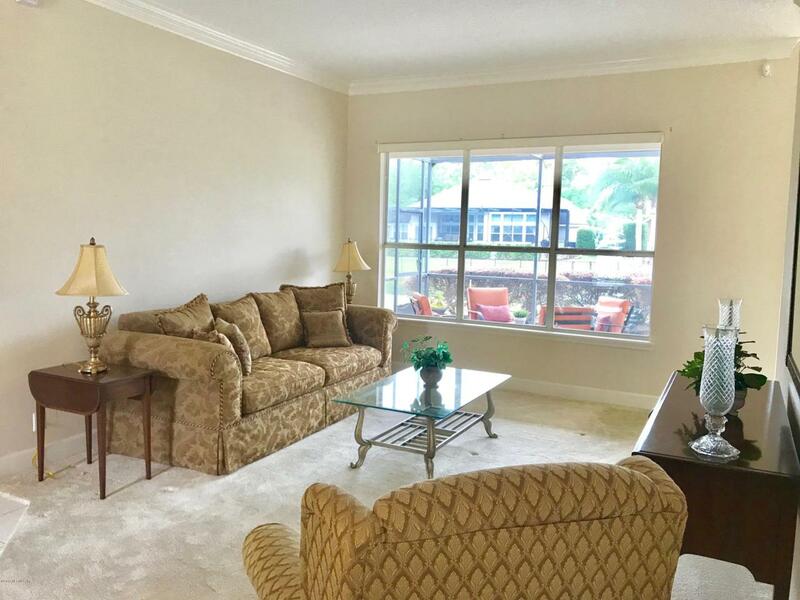 Master, living room and kitchen/family room open to roofed & screened lanai overlooking lagoon. 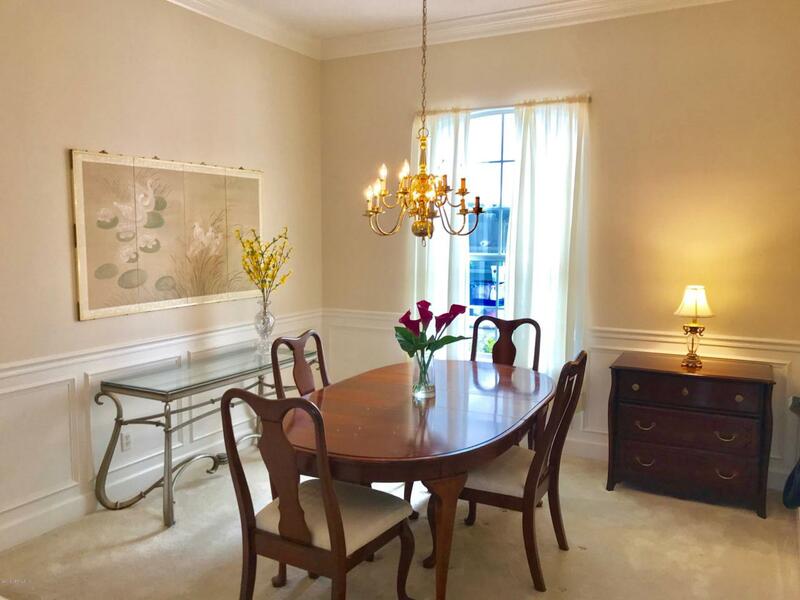 Formal dining room, great closet storage and bonus room over garage with large closet and private bath.